The Structure monotypes are an extension of my Random Walk process into printmaking. Each of these works employs exactly the same random process - a chance direction of line paired with a pre-determined color, length of mark, number of marks, and width of mark — with vastly different results. 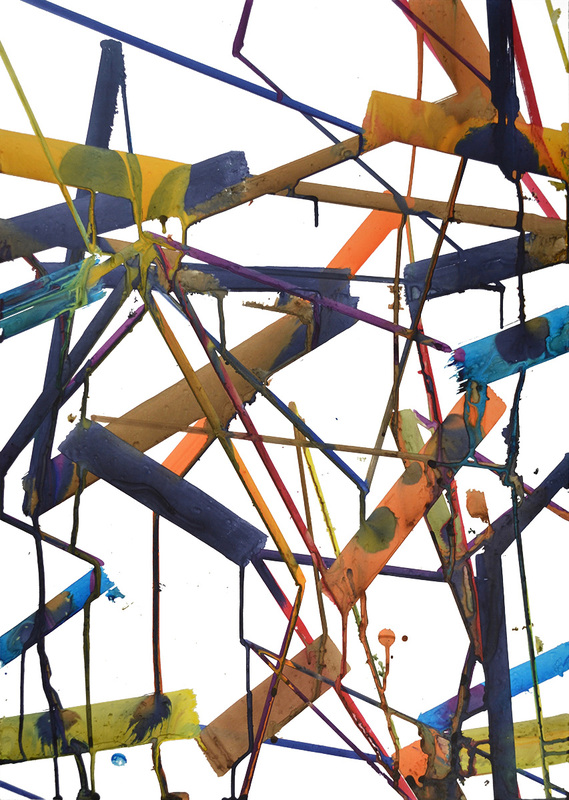 The serial nature of the project, the diverse outcomes, and the ecstatic color underscore the issues of contingency and irony at the center of my work today. French artist Eltono is known for his large-scale, graffiti-inspired murals on buildings and in public spaces in both Europe and the United States. 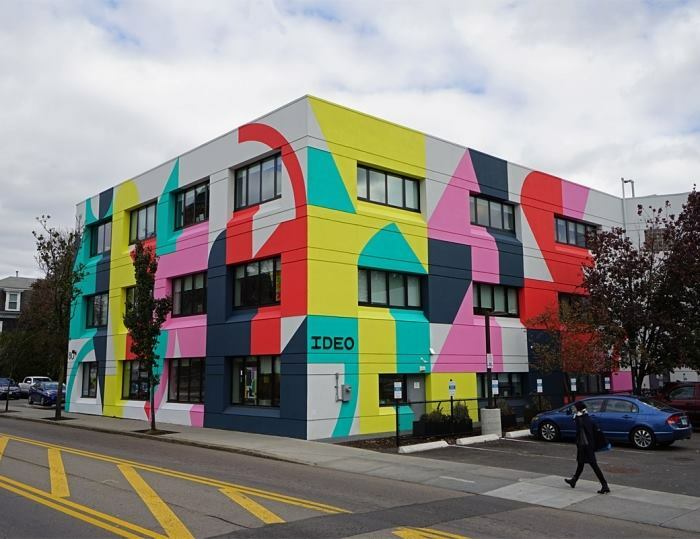 One of his most recent projects brought him into CSS's neighborhood, where he was working on a mural covering the headquarters of Cambridge, MA-based design and consulting company IDEO. As the project neared completion, he stopped by the studio after he finished work on the mural for the day. He and master printer James Stroud 'burned the midnight oil' making woodblock monoprints until 3-4am. The series of prints comes from the arrangement of 7 different woodblocks he arranged on the press. Click the image below to go to Eltono's CSS artist page and see more of this project or click here. See Eltono's primary work on his website here. The latter half of 2017 at CSS has been filled with projects from various artists. Lots of new work is hot-off-the-press these past few months. 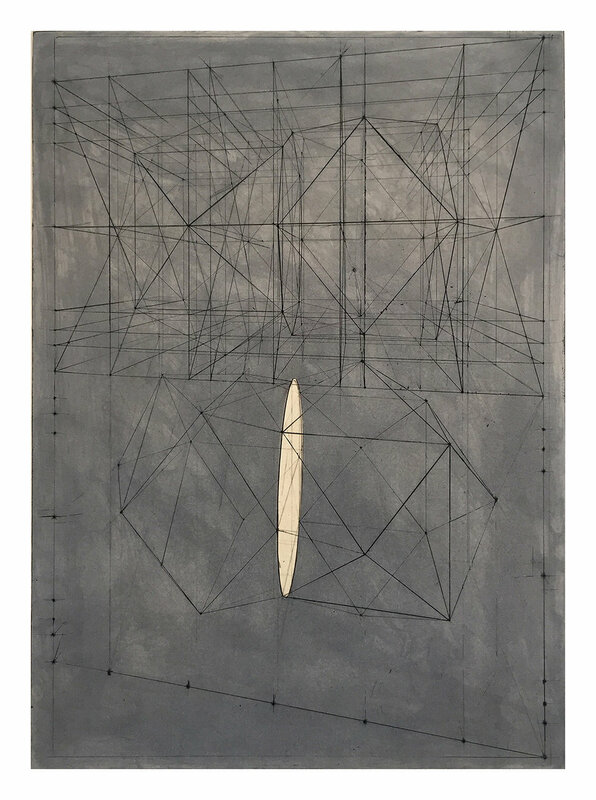 Follow the links below to see new works from Eva Lundsager and Roger Tibbetts. Click the images below to see more of each artist's page or click here for Eva's page or here for Roger's page. 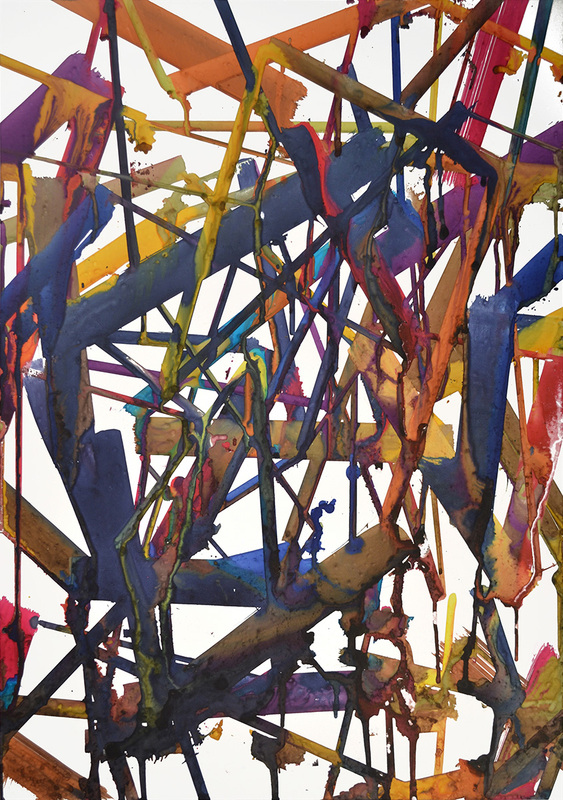 These are constellations of paint that become multiple animated puddles, creatures, beings, stars and planets, accumulations of paint growing out of a process that combines the accidental with the controlled, deliberate mark. It was a joy making these, hard fought at first, slow to figure out how to work with the materials, eventually building in ease and flow, one after the other. While planning and working on these I thought of Miro’s Constellations, whichI saw in 1993 at MOMA, and as I finished them I thought of this summer of the eclipse, when we all looked up at the same time. Our viewpoint is somehow part of above and below, we are rooted even as we move through the atmosphere, part of the ground and part of the space surrounding it. The constellation seems to move between the two as well, we see it above our world, multiple animations moving in space, sometimes coming back down towards the ground, sometimes moving into the ground. I’m stuck to the ground but I’m always looking up into another space, to the sky, the stars and planets, and seeing this as a vehicle for imagination, imagining other worlds, other lives, other possibilities, other ways of existence. Imagination, putting yourself into an experience you haven’t literally had, is the start of empathy. We could use more empathy right now. Center Street Studio is pleased to announce the publication of the print portfolio "a–z" by type designer Matthew Carter.The portfolio contains 26 letters of the alphabet, all lower case, etched into copper plates with aquatint. The edition was printed by master printer James Stroud. All 26 letters are Carter's personal favorites and are all from his designs created, both historical and contemporary, over his long career. They include designs from existing typefaces and typefaces that are still in-process. The entire portfolio comes in a portfolio box with a hand-bound with Carter's personal notes on each design. For details and pricing, please contact James Stroud at jstroud@centerstreetstudio.com or through the Contact page. Bill Thompson's new print 'Edition,' published by Center Street Studio, was selected as Art in Print magazine's Prix de Print in their January/February issue. Congratulations Bill! CSS is headed into the holiday season at full steam! Renowned type designed Matthew Carter is collaborating with a CSS on a new portfolio of Carter's greatest type designs. You can find more information about the project below. You can also find a great write up on Carter in a recent article in the Boston Sunday Globe.